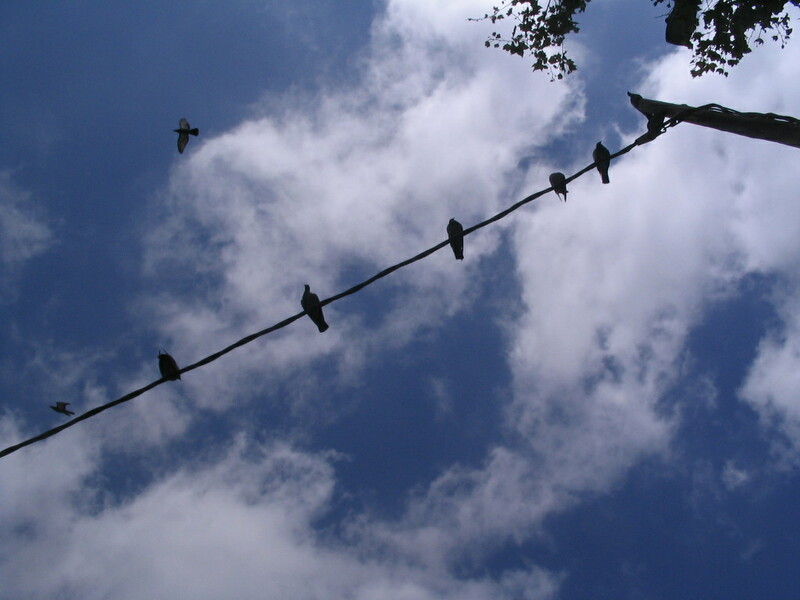 The next day, I went back up to Montjuïc, but all the way up this time, to the Castell. 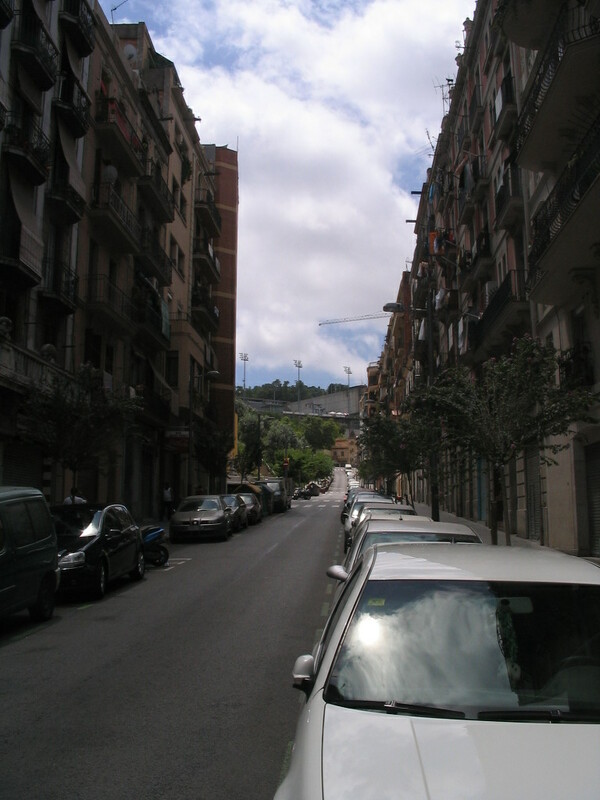 A rather grand block along the Ronda de Sant Pau, another edge between El Raval and Sant Antoni heading southeast from the Mercat de Sant Antoni. 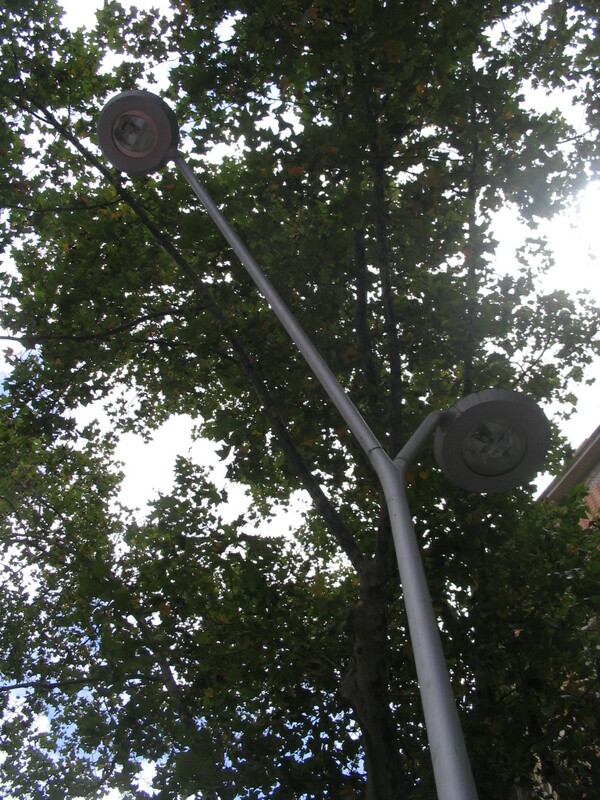 This is on the Raval side across from Carrer del Parlament. 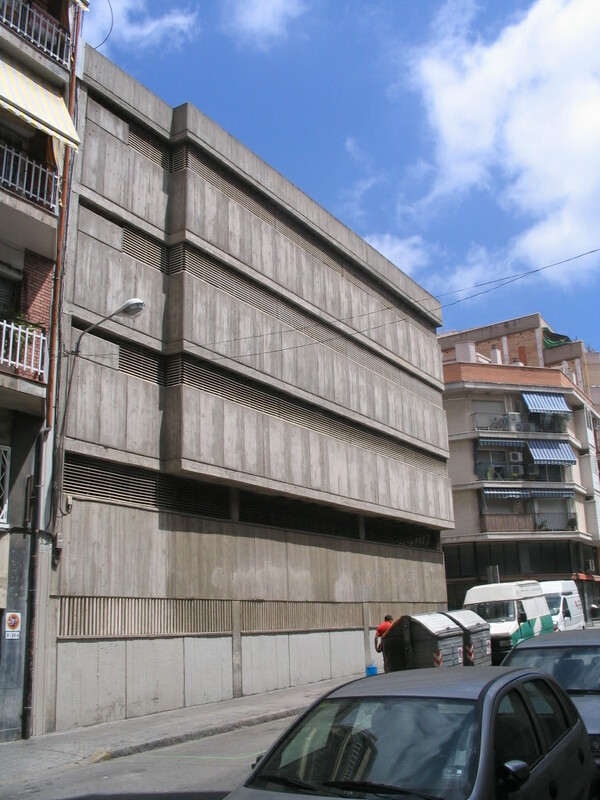 Past the same building up Carrer de la Cera: the corrugated metal wall makes the building at rear look oddly agricultural. 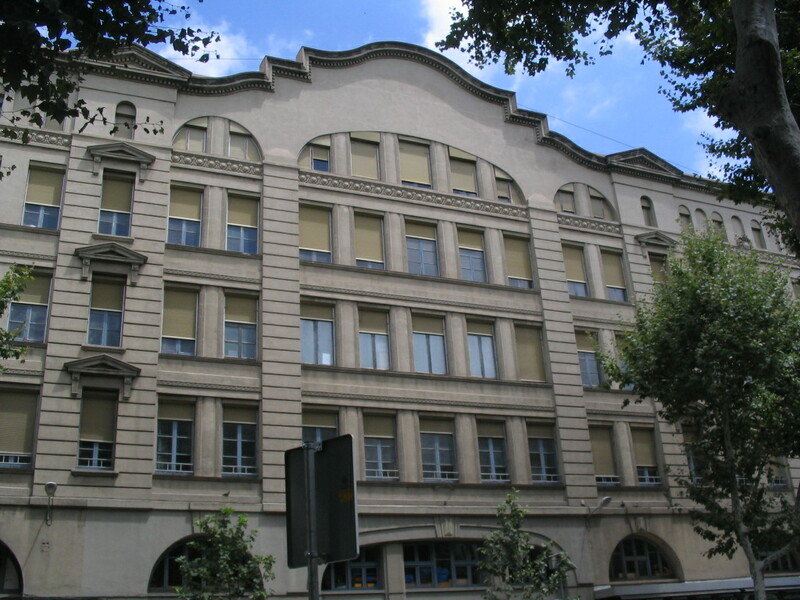 I like the open masonry blocks in the middle though, as well as the contrast with the ornate façade below. 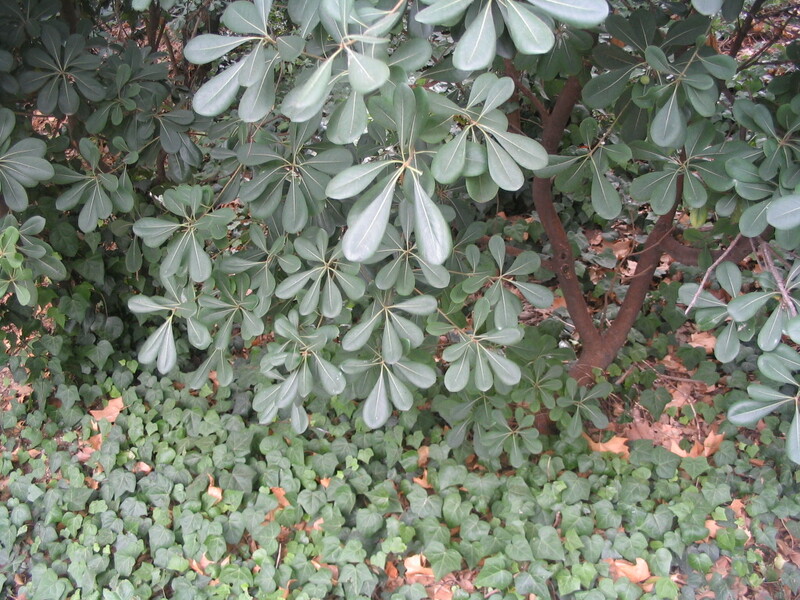 More open masonry, Verkatehdas-style, on the next block on Sant Pau. 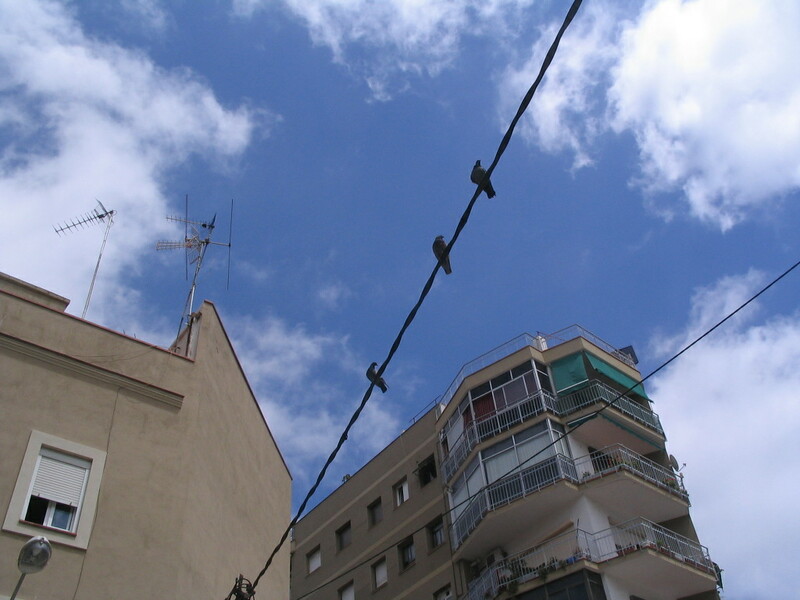 Balanced asymmetry on the Eixample side of Sant Pau. 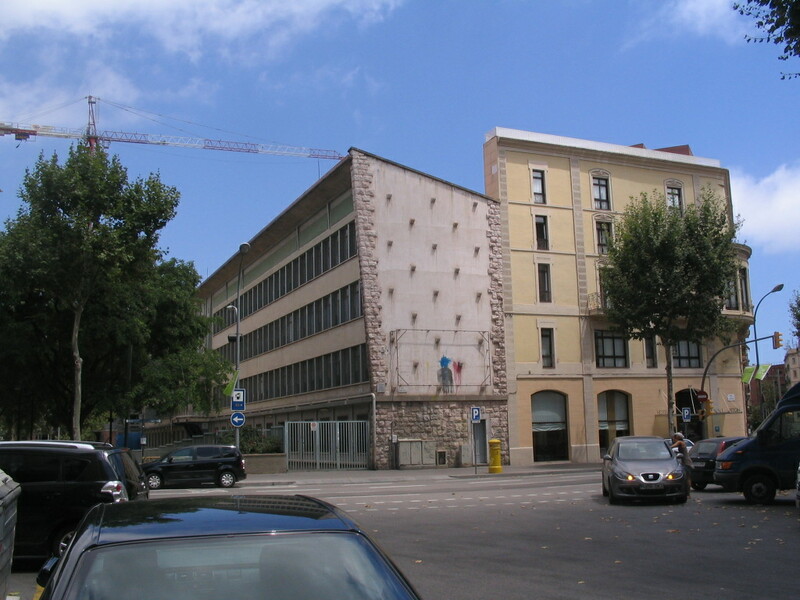 Near where Sant Pau ends at El Paral·lel, a curiously rusticated wall of the secondary school Institut de Milá i Fontanals, facing the Plaça de Josep M. Folch i Torres. 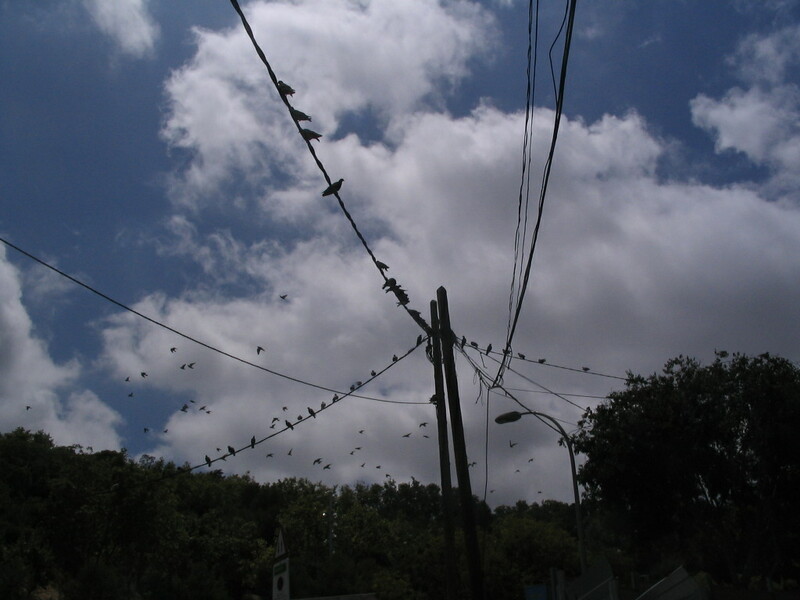 Crossing El Paral·lel, looking east toward the sea. 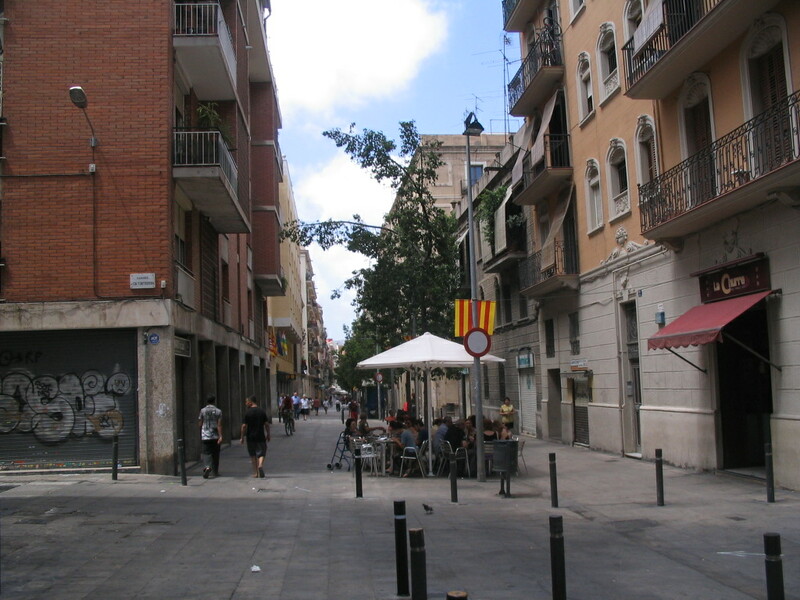 Looking northwest along the pedestrian Carrer Blai in Poble-sec, at the corner of Carrer d'en Fontrodona. 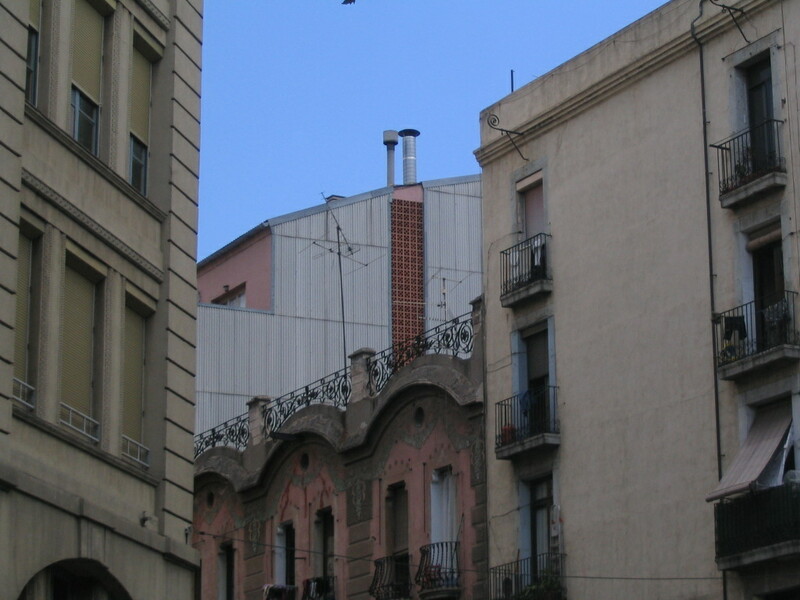 A glimpse up to the Piscina Municipal along Carrer Nou de la Rambla, the only street that continues (by both geometry and name) between the Ciutat Vella and Poble-sec. 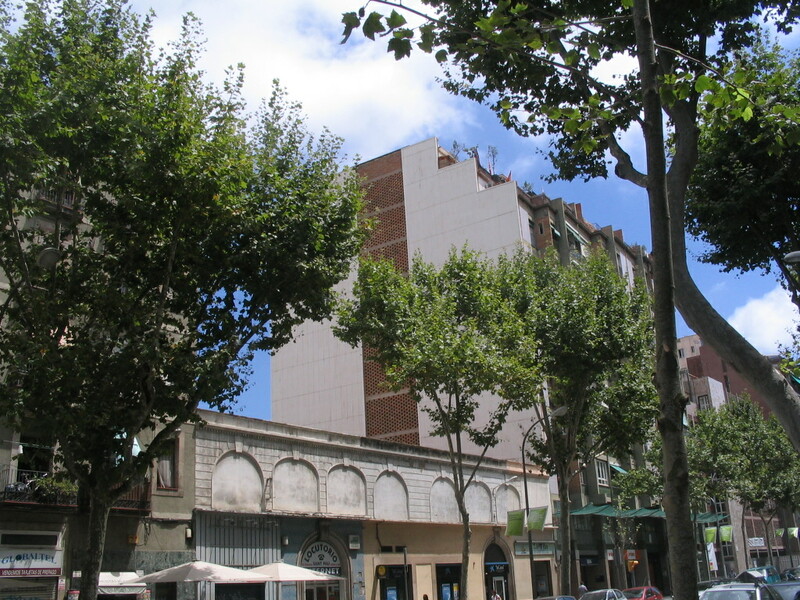 On Carrer Blesa, the perennial winner of first prize at the Friendly Façade Awards. 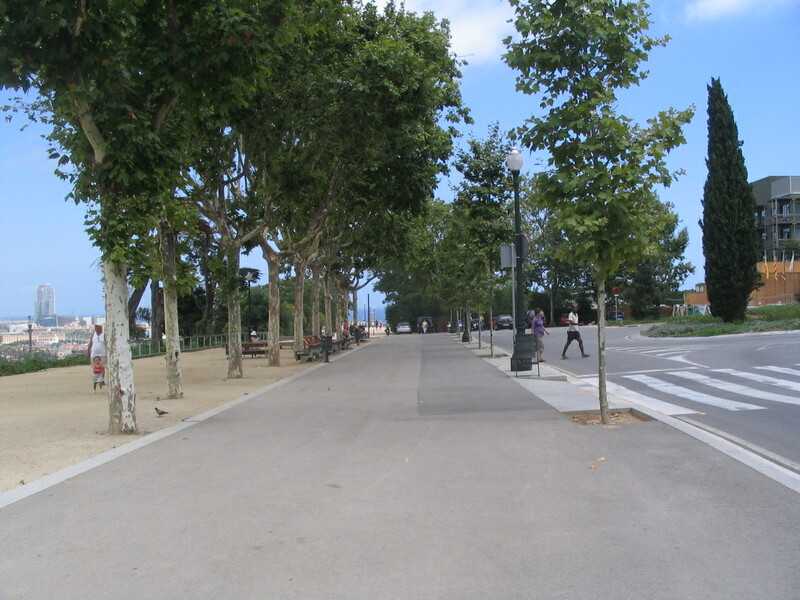 The view opened up along Passeig Miramar. 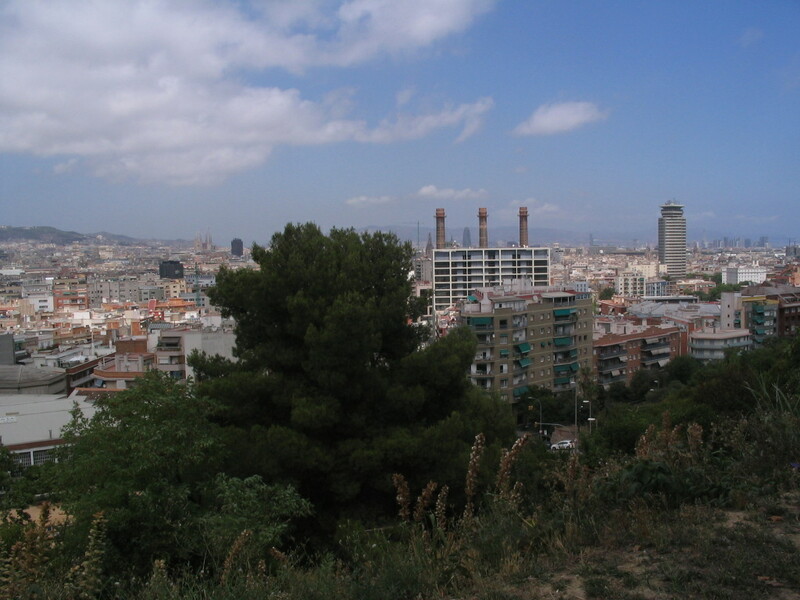 Here we have Torre Agbar beyond the former AEG-Barcelona Traction factory, as well as the Sagrada Família further left. 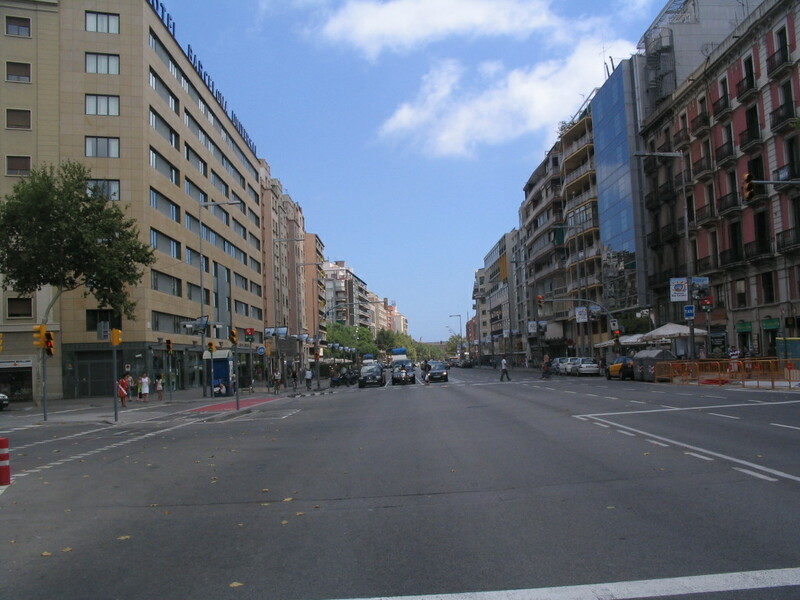 A two-sided outlook by Hotel Miramar, at the intersection of Passeig Miramar, Avinguda Miramar, and Carretera Miramar. 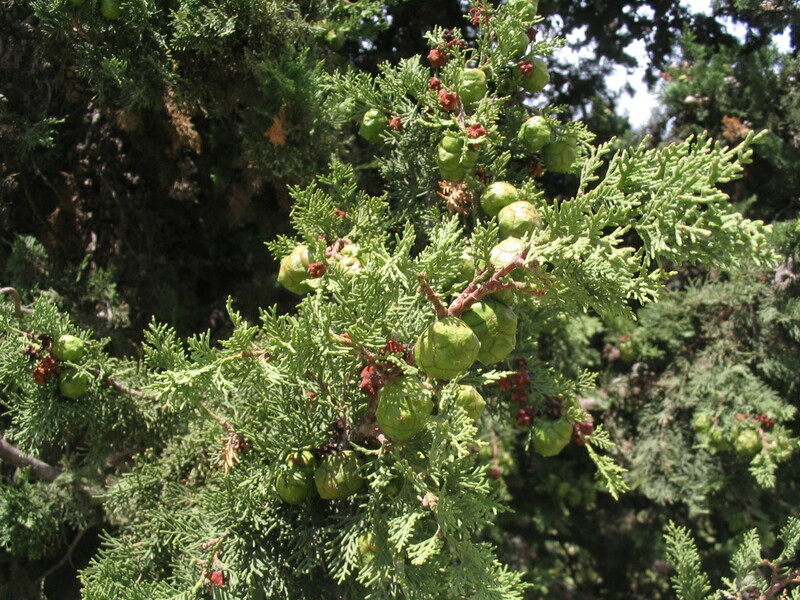 A cute teardrop-leafed shrub, not sure what it is. 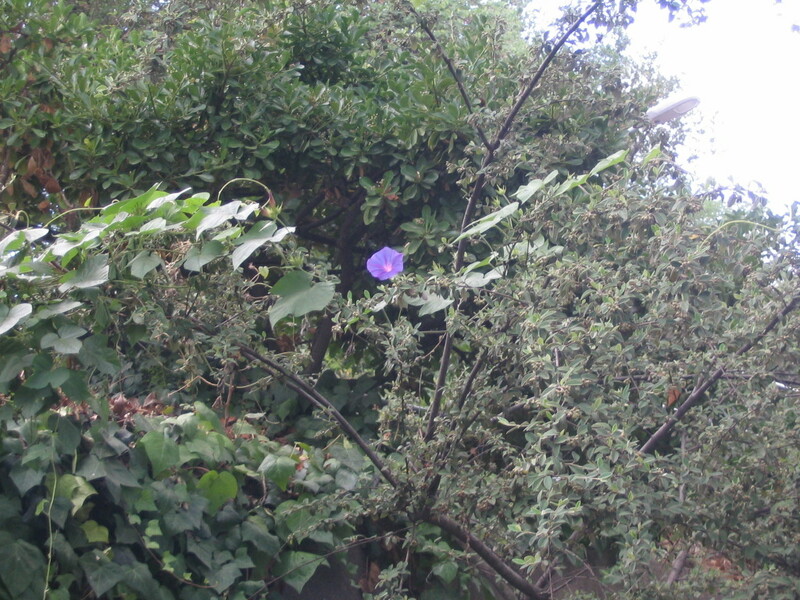 A lone morning glory blossom: a highly unusual situation. 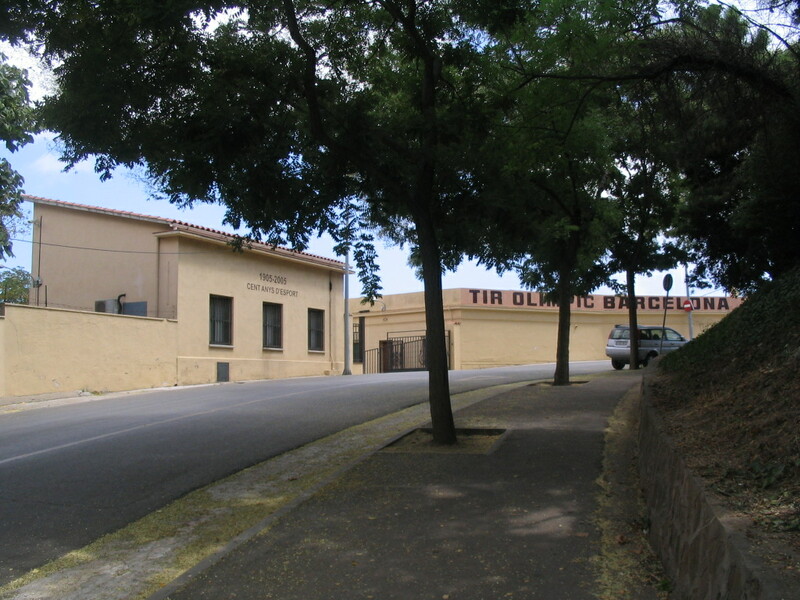 On a switchback on Carretera de Montjuïc is the Tir Olímpic complex. Given the "1905-2005" text, this appears to predate the 1992 Olympics — rather, tir olímpic refers to the sport of shooting in general. 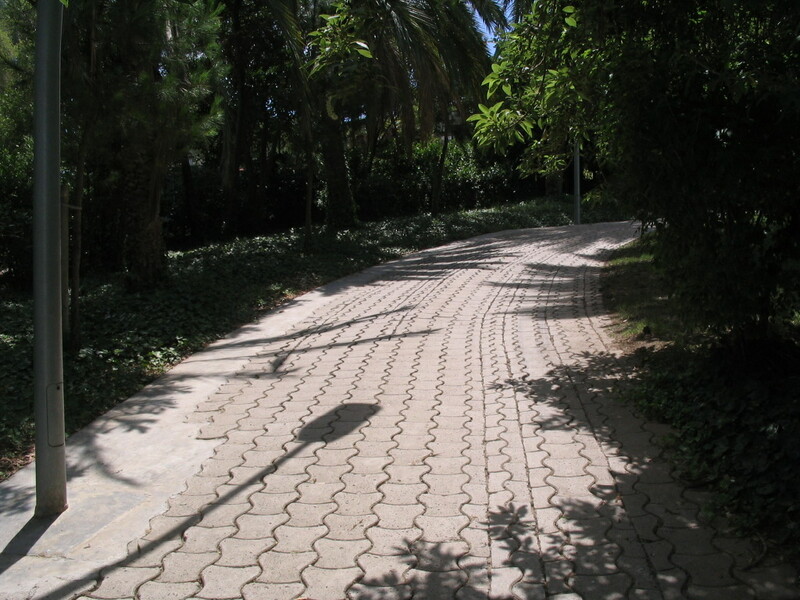 I stepped off the Carretera into the very pleasant Jardins de Joan Brossa and hiked up along this winding path. 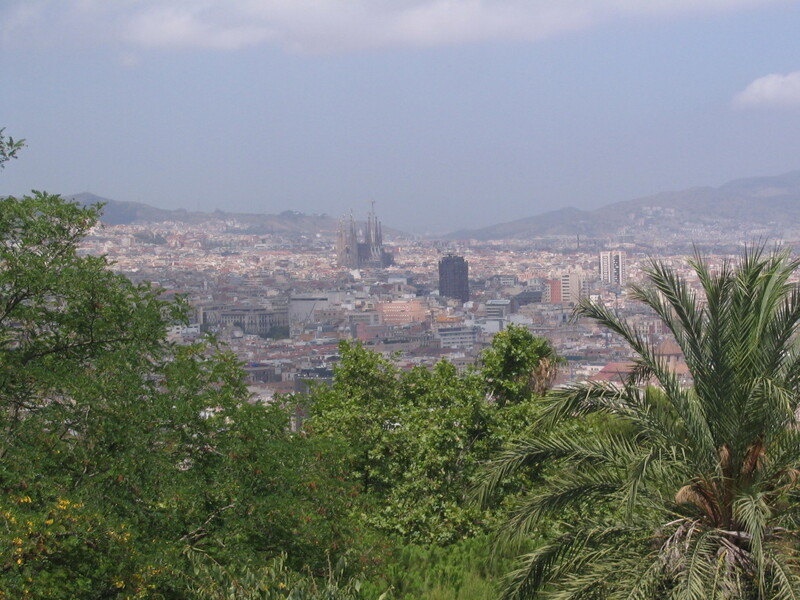 A hazy Sagrada Família from the Jardins. 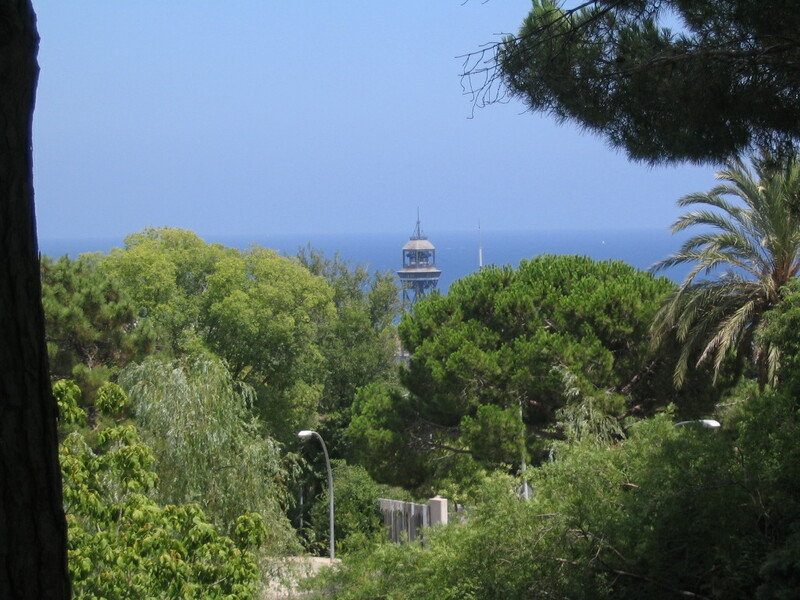 The Torre Jaume I, one of the two towers of the Telefèric del Port, not looking particularly towering — but only because its base is back down near sea level. 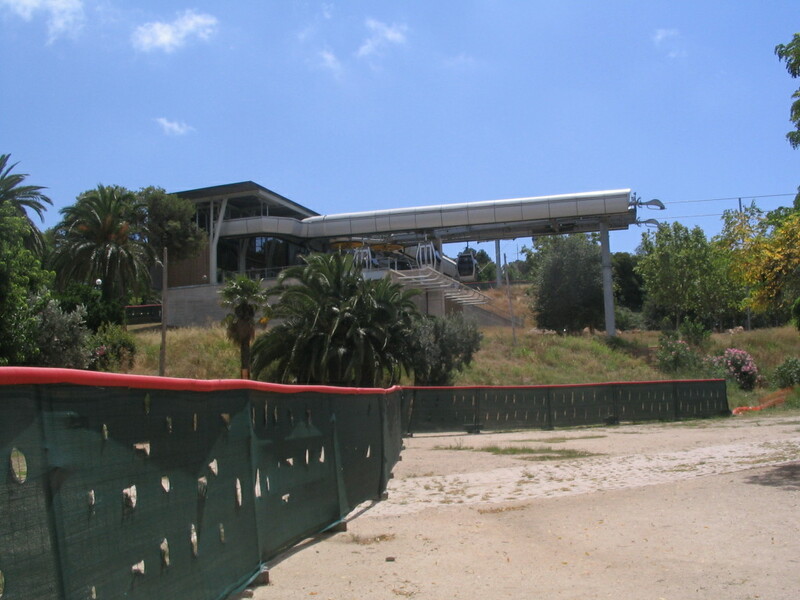 Meanwhile, here is the upper station of the other cablecar line up to Montjuïc, the aptly named Telefèric de Montjuïc.